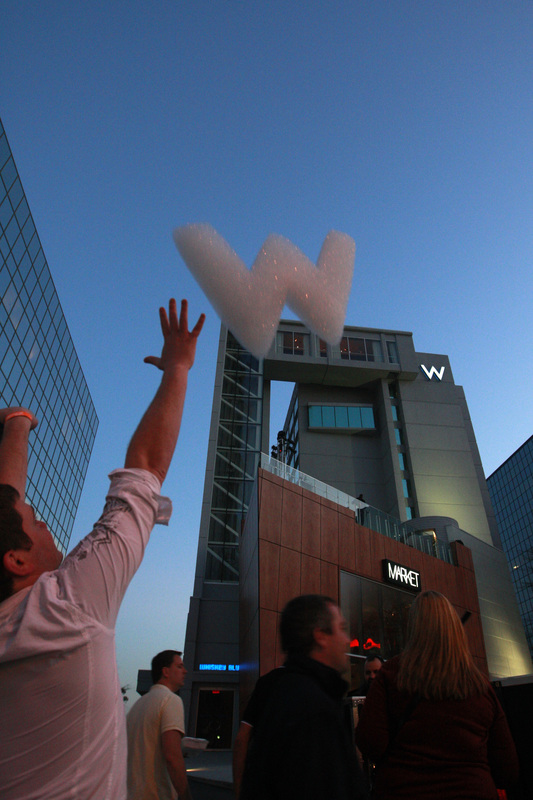 It’s been a year since the W Buckhead opened it’s doors so what else is there to do but celebrate with a pool party? My girlfriend, Parker Wallace and I attended in matching winter white and enjoyed toasty mugs of hot chocolate. It is February, after all! But the pool was far from empty — bikini clad models frolicked in what can only swimming pool-sized hot tub, especially heated for the occasion. Down stairs valets released special W shaped helium balloons. 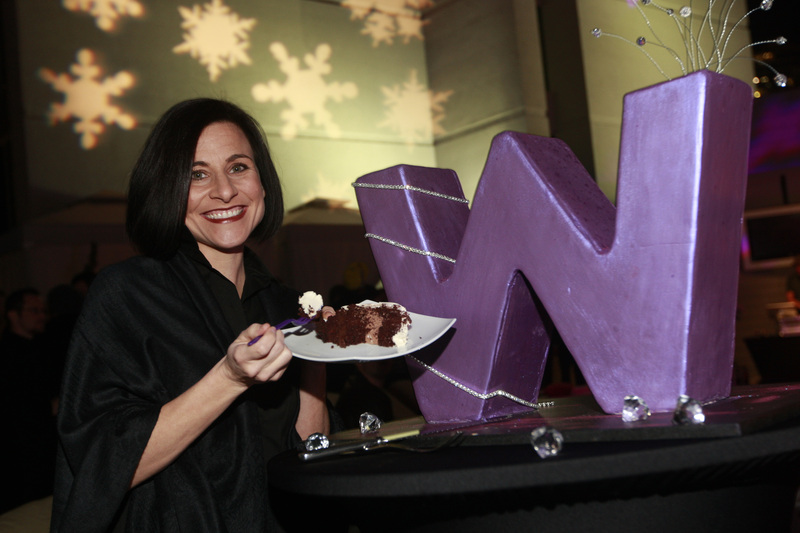 Finally General Manager Marylouise Fitzgibbon was there to cut the signature purple W cake. 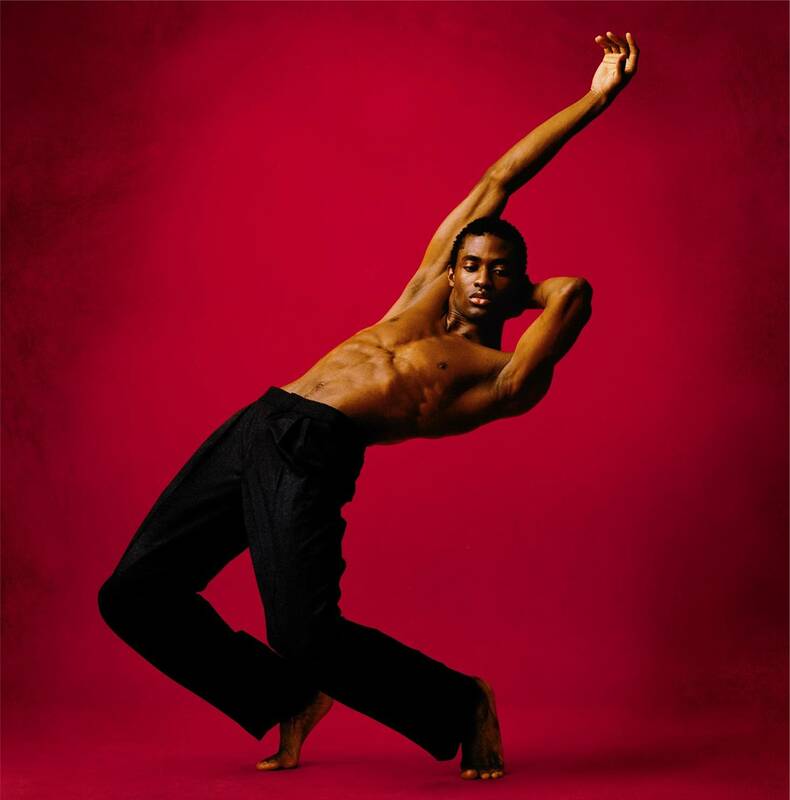 Check out the dancer with the Alvin Ailey Dance Company. Their bodies are off the charts! I got to meet a pair of them this week, and was surprised to see they were wearing track suits. But it makes sense, because what they are, in reality, are finely tuned athletes. And their dancing is out of this world. They’re in town this weekend at the Fox. Check out my interview with them — including my own efforts at dance — by clicking here. 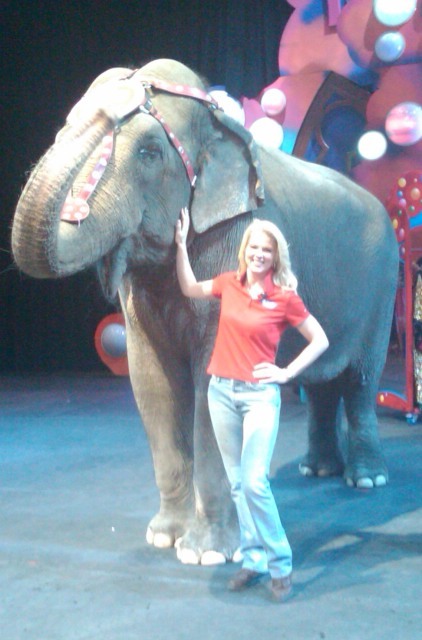 Ringling Brothers, Barnum and Bailey Circus is in town, and I got to go behind the scenes. The highlight of the day was getting to be a “clown for a day”. That included full makeup, courtesy of Clown buddy, Todd. Believe it or not, he used a sock full of baby powder to set the grease paint in place. But two plates on my fingers — to the delight of the children in the audience. 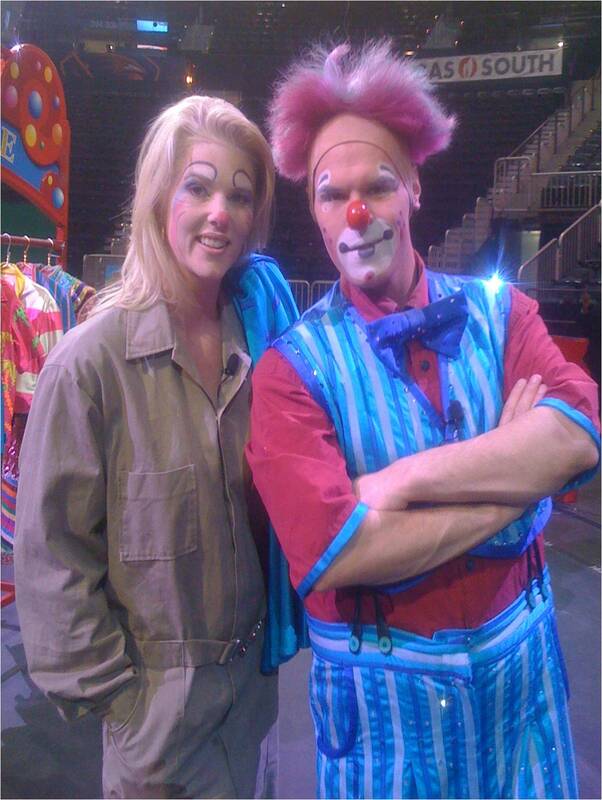 But being a rookie clown isn’t all fun and games… click here to see my adventure, including the gag they pulled on me! You are currently browsing the The 40 Year Old Mommy blog archives for February, 2010.